Paytm Mall is hosting a JBL week, which starts today and will run until October 10. The platform is giving away great discounts and cashback on JBL headphones and speaker. 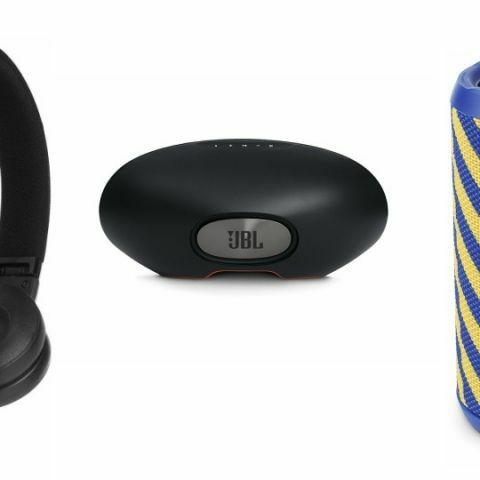 If you’re thinking of purchasing a JBL speaker or a headphone from a long period of time but not able to find good deals, then we’ve finally got something for you. Today, Paytm Mall has some amazing cashback offers on JBL products such as JBL Flip 3, JBL T110, JBL E35 and more. Without adding further, let’s take a look at the deals. The JBL Flip 3 is a portable wireless music streaming device, which can be connected to up to three devices at once. The speaker comes with echo and a noise-canceling microphone that lets you pick up calls when your smartphone is connected to it. The speaker is also splashproof, which means one does not need to worry about a few splashes of water. As per the company, the device can provide up to ten hours of playback in one go. Click here to buy. The JBL Playlist 150 is a wireless Bluetooth speaker, which comes with a built-in chromecast that lets you control the speaker from your smartphone. Users can connect the speaker to their home network and stream music from a wide range of apps such as Spotify, Pandora, Google Play and more. Click here to buy. The JBL T110 In-Ear Headphone features a 9mm dynamic driver and has a frequency range between 20Hz-20KHz. It comes with a 3.5mm audio jack cable. Click here to buy. The JBL E35 On-Ear Headphone comes with a one-button in-line remote and a microphone that lets you manage calls and tracks easily. The headphone features a tangle-free flat cable that should not tangle up in knots. Click here to buy. is jbl charge 2 worth buying ? ya suggest any other good speaker?